The subject matter is sure to be interest to all Chess players but CC ones in particular! As a reminder we have a Facebook page. It is a closed page and for Welsh Players only! Congratulations Alex, for earning the ICCF title "Correspondence Chess Expert"! Alex achieved his norms in the second WCCF Invitational and the reserve section of the British Correspondence Chess Championship, in which he scored an incredible 8/9! Member Organisations Team Tournament in for a close finish! The 2nd Welsh Member Organisations Team Tournament, which began in December 2015, has a very exciting finish in store. With only 5 games remaining (out of 105 initially), there are still three teams in with a shout at victory: BCCA Cougars, SCCA "A" and BCCA Wildcats. The tournament crosstable can be seen here: https://www.iccf.com/event?id=56581 This tournament, provided free by the WCCF, has provided some excellent chess and there is no reason why this event should not get stronger every year. Congratulations Gareth Yeo on earning the ICCF title of Correspondence Chess Master and Russell Sherwood for achieving Correspondence Chess Expert, both on the same day! Helen is a Lady International Correspondence Chess Grand Master! 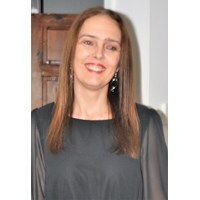 Helen Sherwood was awarded the Lady International Correspondence Chess Grand Master Title. She will receive a Gold Medal & Certificate. Congratulations Helen! ICCF is delighted to announce the start of the 7th WebChess Open tournament on the server. This announcement is posted on the ICCF website and distributed to all national federations. The following Frequently Asked Questions clarifies all information applicable for this edition. What is the Webchess Open Tournament? It is a tournament open to all correspondence chess players around the World, with or without any previous ICCF experience. Dependent upon entries the Tournament is played over three rounds (Preliminary, Semi-Final and Final). Winners from each group in each round advance to the next round. What are the Prizes? Total prize fund is 6000 Euro – Each Preliminary group winner shall receive a 20 Euro Voucher, Each Semi- Final Group winner a 50 Euro Voucher and the Final shall have a 2000 Euro prize fund. Who to contact Russell Sherwood , Non-Title Tournament Commissioner ([email protected]) is happy to a handle general questions on this event. Contact your national federation (NF). Provide your ICCF-ID (if you have one) and a valid email address you will use for this tournament. Your national federation will forward your entry. New players to ICCF are allowed to enter 1 section for free. They should send their contact information: name, email address and country to Russell Sherwood NTTC. ([email protected]) If they wish to enter more than one section, all extra entries should be paid for as described above. When does the registration close? Registration is open immediately and it closes on Dec 31st, 2016. When does play start? Preliminary Rounds will be set up in early January with a start date of 31st January 2017. English Senior International Master Mike Donnelly was a welcome guest at the 2015 ICCF Congress in Cardiff; Mike took the opportunity to meet for the first time a friend with whom he had corresponded for many years, Thomas Johansson from Sweden, who was in Cardiff to receive his International Master medal and certificate. 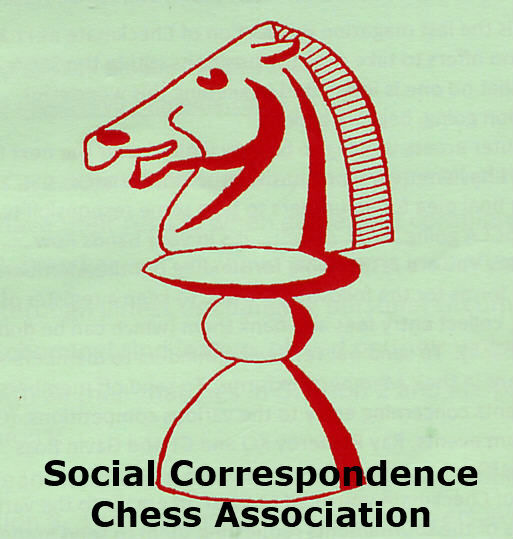 Included in the Welcome Pack for guests at Congress was a booklet written by Martyn Griffiths and Austin Lockwood (attached to this post in PDF format), describing the history of correspondence chess in Wales. Mike has now annotated two of the games from this booklet and posted these on his website, he has kindly agreed for us to reproduce his annotations here. In 2015 I was invited to the ICCF Congress held in August of that year in Cardiff. This was an ideal opportunity to meet, in person for the first time, with Thomas Johansson from Malmo after corresponding for over 15 years only via e-mail. Thomas was to be presented with his ICCF International Master certificate and medal at this event and pictures may be found on this web site in section 8 (My Stuff-Memorabilia Corner for the years starting from 2014). I may add the whole event was very well run and a pleasure to attend. Apart from Thomas I chatted to several players who I had played correspondence chess against and also met many of the organisers who work hard for this form of chess but were previously only names on notifications and tournament tables etc. Each attendee of the ICCF Congress received a rather fine "welcome pack" which contained all sorts of chess material as well as information about Cardiff and the places worth seeing both locally and in other parts of Wales. Chess related items in the pack included a very well written and researched booklet entitled " A History of Correspondence Chess in Wales 1835-2015" by Martyn Griffiths and Austin Lockwood. The bare scores of two games given in the booklet caught my eye and I subsequently played them over on a board. They are both very high quality games from a time when there was no help from modern technology such as Informator or computers. These have thus been annotated in detail for this site. The fourth season of the British Webserver Team Tournament will start on 1st January 2017. The BWSTT is an event organised by the Welsh Correspondence Chess Federation for teams of correspondence chess teams of four players. As there are normally four divisions, the tournament is suitable for chess players of all standards. There are no membership requirements, and teams representing chess clubs, workplaces, or just groups of friends are very welcome to enter. The full tournament announcement can be downloaded below. 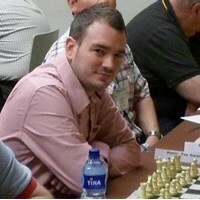 A Queen sacrifice by Paul Scott in the European Server Championship Open Round 163!! Here is Paul Scott's spectacular Queen sacrifice game! !